Laminate at your convenience instead of waiting your turn for the front office machine. Protects student work, photos, bulletin board decorations, name tags and much more. Makes it easy to create long-lasting, write & wipe classroom materials students can use over and over again with dry-erase markers or crayons. Features both hot and cold settings. 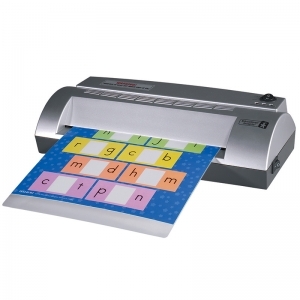 Works with our convenient and compact Personal Classroom Laminator. 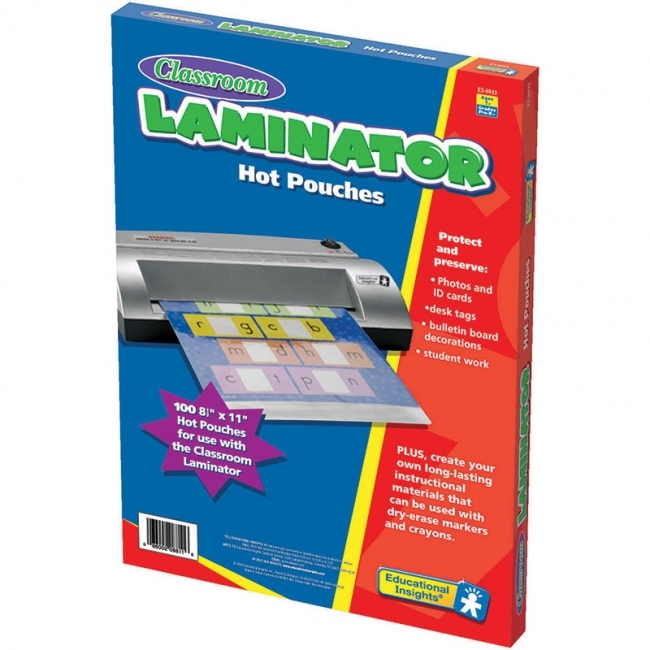 Includes 100 laminating pouches. Protects student work, photos, bulletin board decorations, name tags and much more. Makes it easy to create write & wipe classroom materials students can use over and over again with dry-erase markers or crayons. Allows lamination of documents up to 8.5" x 11". 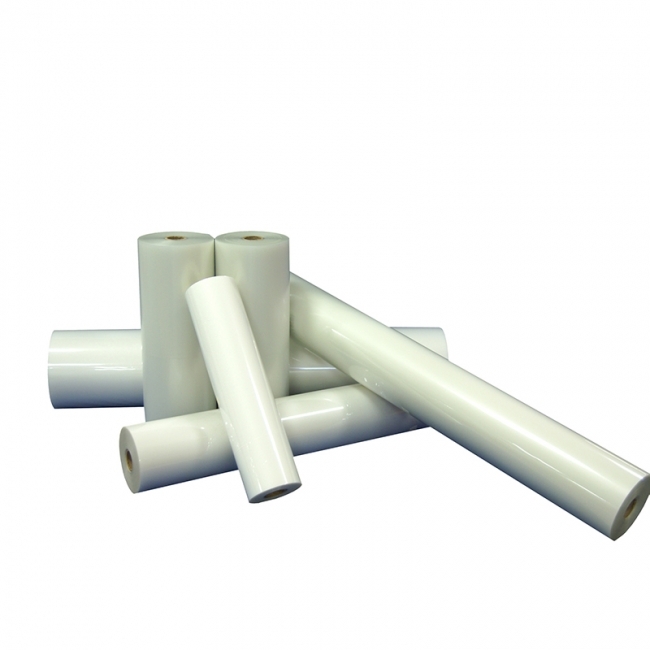 A high quality film developed specifically for use with light duty and desktop laminators. Perfect #12 is recommended for schools, libraries, offices, hospitals, etc. This film provides substance, durability and beauty at a reasonable price. It provides an excellent bond to most photos and ink jet media. 3 Mil .001" Polyester/.002" Polyethylene. This item is sold per roll. High-quality, thin (1.7 mil) film with great clarity. 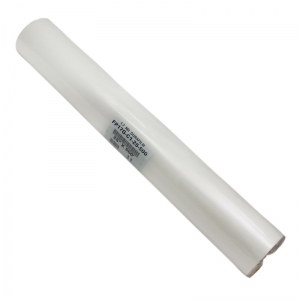 Good for two-sided lamination of standard stock and may also be used for one-sided lamination of heavy stock.